We only had three sales overnight, which was either a disappointment or an opportunity, depending on your view. We used the time to put more items on eBay. I’m gradually working my way through the box of oddments we’ve been building up. The competition for most fatuous question of the year is hotting up already, but “How much is a Charles Dickens £2 coin worth?” has set the bar fairly high. The clue is in the question. It’s worth £2. That’s how money works. Picture taken from Change Checker, a great resource for information on modern coins. It seems that the enquirer hadn’t seen one before and, fuelled by newspaper and internet reports, was hoping it would be rare and valuable. The truth is that so many people are looking for “rare” coins that they all get taken out of circulation and nobody ever does see them. However, there were a number on eBay at up to £3,745 so you can’t blame people for thinking they are valuable. There were 8,190,000 minted, so I’m guessing they aren’t really rare. I’m sure there will be a couple more contenders before the end of the year. 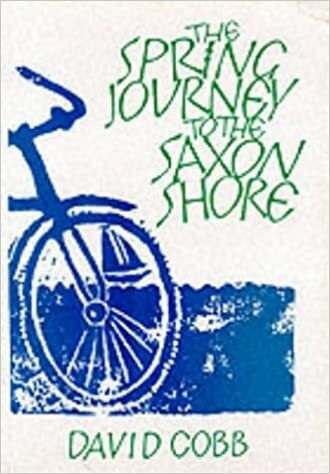 I’ve been reading The Spring Journey to the Saxon Shore. It’s the pioneering British haibun and it’s very good. It’s now on my “to review” list. First I’m going to read it again. It was £7 from the author but £13.45 from Amazon. Guess where I bought my copy from. I see we already have three sales on eBay, including something I loaded today. That should keep me occupied for the first half hour. And now, as midnight draws close, it’s time to go. See you all tomorrow. This entry was posted in Uncategorized and tagged £2, David Cobb, Ebay, fatuous question, haibun on January 10, 2019 by quercuscommunity. Thank you. It’s the waking up that I have problems with. Good luck with the sales, Quercus! “Spring Journey” sounds so good. Glad you were able to get the book directly from the author for the best price. Win-win for both of you! I collect those speciality £2 coins. I have got quite a collection. What intrigues and amuses me is the optimistic values people put on them on ebay often with ridiculous claims about rarity and minting errors. ebay is not the place to get an accurate valuation of anything. They are great coins with some fine designs and a lot of interest to them. Along with the 50 pences they are reinvigorating coin collecting. Unfortunately, as you say, they attract a lot of misinformation.